Manufacturer of a wide range of products which include aluminium oxide sanding sponges, silicon carbide sanding sponges, aluminum oxide sanding sponge and aluminium oxide sanding sponge. 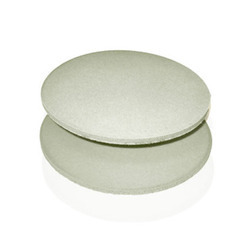 Being a well-established organization, we bring forth an excellent assortment of Velour-backed Aluminium Oxide Sanding_Sponges. 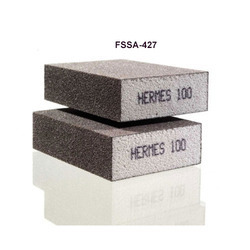 Our offered sponges are widely appreciated by our prestigious clients for their precise design and easy installation. 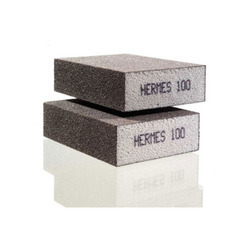 Mainly used for Fine cleaning of oxide layers from metallic surfaces, these_sponges can also be availed in various sizes, designs, and other related specifications. Our provided_sponges are manufactured by a team of our adept professionals utilizing quality approved raw material and advanced technology. Our reputation in the market is largely attributable to our precision-designed Silicon Carbide Sanding Sponges from our extensive collection of products. These sponges are manufactured using excellent quality raw-material and the latest technology by our skilled professionals. In order to ensure quality, provided sponges are stringently tested on various parameters by our experts. These sponges are used for fine sanding of wood in preparation for staining and lacquering. Apart from this, remarkable quality and sturdy structure increase the demand of our offered range in the market. 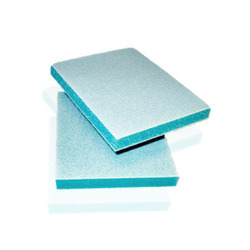 With a thorough understanding of the relevant industry, we are offering a wide range of Aluminium Oxide Sanding_Sponge. It is used for fine cleaning of oxide layers from metallic surfaces. This sponge is manufactured using optimum quality raw-material and advanced technology. In tune with different requirements of our copious clients, we customize the entire range in various sizes and shapes. Our offered range has gained exceptional value amongst our clients for its defined features. Under the strict supervision of our experienced professionals, we are offering a wide collection of Aluminium Oxide Sanding Sponge. It is used for fine sanding of wood in preparation for staining and lacquering. Our offered range is availed in a variety of sizes, shapes and other such specifications to choose from. The sponge offered by us is precisely designed at our highly advanced manufacturing unit following industry defined guidelines. 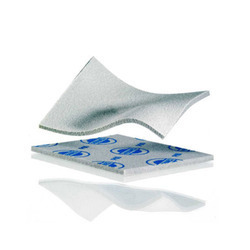 The offered sponge can also be availed from us at the industry leading prices. By utilizing our years of experience, we bring forth a qualitative array of Aluminium Oxide Sanding Sponge that is used for fine sanding of wood in preparation for staining and lacquering. The offered range is manufactured utilizing superior quality raw material and latest technology. Moreover, a team of our quality controllers conducts a series of quality tests on the entire range to seek out any possible defect. In tune with industry standard, we provide the entire range in various customized options and industry leading prices.